At this step of the wizard, specify the path to the destination directory. You can select Enable Compression checkbox to reduce the file size. 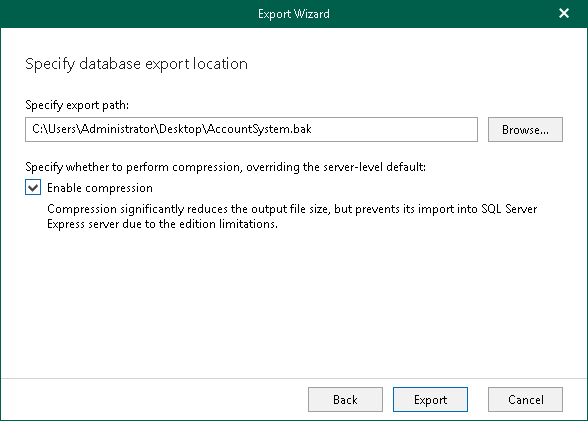 Compression is unavailable for Microsoft SQL Server 2005 and all Express Editions of Microsoft SQL Server.